I’ve been privileged to have some of the most remarkable people be guests on my podcast. I’ve interviewed game changers, leaders, and even some of my role models back from when I started. Podcasting is becoming more important as the days roll by. You get to build relationships, learn, and provide your audience with valuable content. Podcasting may perhaps be the best way to grow a content brand today. However, a big part of podcasting is landing awesome guest for your show. The value of your guests determines your show’s value and how much you learn by hosting each episode. Regardless of whether you are just getting started or are deeper into it, this guide will help you land awesome guest for your show. The more clear you are on your topic, the more clear you’ll be on who you need to interview. Breakthrough Success is a blend of personal development and business growth tactics. Narrowing down your topic allows you to get more clear on who you need to interview. However, it also helps you get clear on similar podcasts. One of my favorite ways of finding great guests is to look through the guests on other podcasts in my niche. I’ll look through EOFire, Side Hustle Nation, and a few others to see who’s been interviewed on those podcasts. I will then contact some of those people and ask them to be on my show. I am building on this list of podcasts I can refer to for finding guests, and it’s important to build that list. Once you get clear on who you need to interview, you determine podcasts that will fill up the list. Since I first implemented this approach, I now have five podcasts that I use to find great guests for my show. Once you find a guest on someone else’s podcast, and you want to contact them, you need to contact them. This isn’t something that gets put on the to-do later list. Almost all tasks on that list never get accomplished. Once I commit to finding guests, that’s the only thing I do. I don’t create a back burner list of guests that I have yet to contact. As you send more pitches, you’ll be surprised to hear that most guests will say yes. Podcast guests want to get interviewed on as many podcasts as possible. They’ll make it work in their schedules. 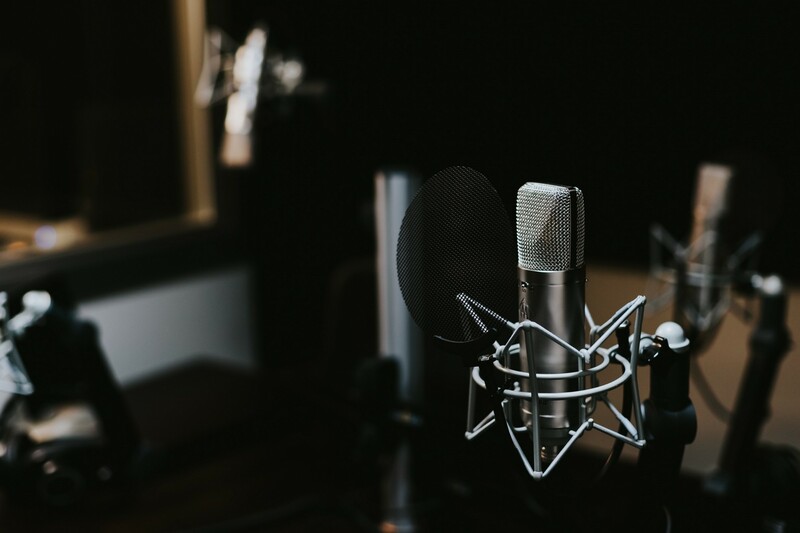 While getting a yes for a podcast interview isn’t too difficult, you still need a great pitch. Emailed pitches are short and to the point. All of my emails live by the 5-Sentence Rule. None of my emails are more than five sentences. It takes me much less time to write emails. But more importantly, it takes the potential guest less time to read the pitch and understand what you’re asking. A shorter email gives you less time to tell your story and list your accomplishments. You need to squeeze the best ones into 1-2 normal-length sentences. These two sentences you read are at the normal length. I had something to say and added a period to end the sentence. I didn’t go on and on to turn several sentences into one sentence filled with my credentials thus making it more difficult for someone to understand what you’re saying. See what I did there? That was intentional. Don’t do that with your accomplishments. Just mention 3-5 big ones. I tell people I’m an entrepreneur, author, and blogger with 500K social media followers. I also mention that I published 19 books and created 25 training courses before my 20th birthday. I can mention more, but I don’t. Those two sentences paint a good enough picture which attracts potential guests to my podcast. If you spend too much time persuading, you won’t give your potential guests enough time or desire to take action. If you’ve had guests on your show or confirmed upcoming guests, mention them. I tell all potential guests about some of the past guests on the show. This gives me authority by association. I got interviewed on the same podcast that featured guests like Tim Ferriss, Tony Robbins, Gary Vaynerchuk, and many more. This is why so many of us want to get featured on a prominent publication (think New York Times). We recognize their authority by association and want a piece of that. If you convey yourself and that authority by association, more people will agree to be on your show. If you don’t have any superstar guests yet, mention the top people who have been on your show. If you don’t have any guests period, mention that your podcast is new. You’ll get some people on board. During the post conversation, ask your guests if they could refer another guest to the show and repeat that pattern for future guests. As you get more guests, you can leverage your association with them to get more yeses from future pitches. Awesome is contagious. Awesome podcast guests know other awesome podcast guests. If you really enjoyed an interview with someone, ask that person for multiple recommendations. At the end of an interview I enjoyed very much, the guest recommended another guest. That recommendation was awesome! Then that guest made several recommendations and that has led to even more awesome. Awesome people know awesome people who you don’t know. They hold the keys to the kingdom, and all you have to do is ask. It’s easy to ask, but it’s also easy to not ask. Make the choice to ask guests if they know someone good for your show, and you’ll have a stream of awesome guests coming in. Podcasting is one of the best opportunities for learning and growing your brand. I honestly can’t say enough good things about it. However, the value of your podcasting experience and your listeners’ experiences depends on the guests you attract to the show. Attract the best guests, and you’ll have the best podcast in your niche. What were your thoughts on these tactics? Do you have any suggestions for attracting awesome guests to a podcast? Do you have a question for me? Sound off in the comments section below.